Bertie and I paid another visiti to the Wensum this weekend all night Saturday night till Sunday morning. We met at around 7:30pm Saturday night, the weather was quite hot and muggy. We made our way to our swims and chose to fish the same swims as we were in the previous week. Still lots of mosquitoes around. 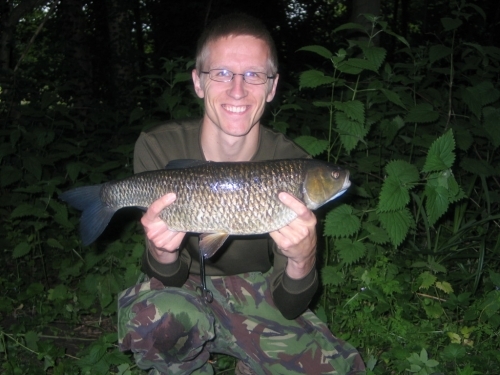 Bertie had a run and after a brief scrap landed a nice 4LB 6oz Chub. See pic below. 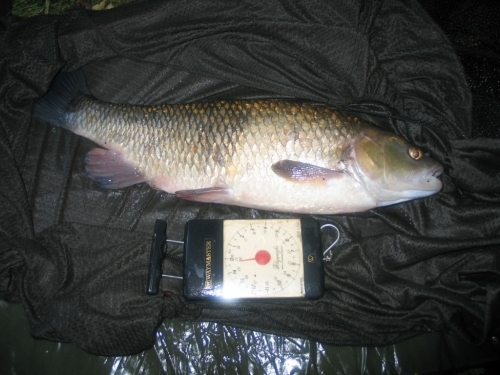 After a few hours Bertie had another run resulting in a 4LB 11oz Chub which looked much much bigger. This one was quite empty but had a massive frame and would definately weigh much more during winter time. See pic below. So far I had a few knocks and had tried a few different swims. The bite seemed to be very fast which were impossible to hit also very finnicky and not taking it properly. Bertie then had a third chub weighing bang on 4LB. 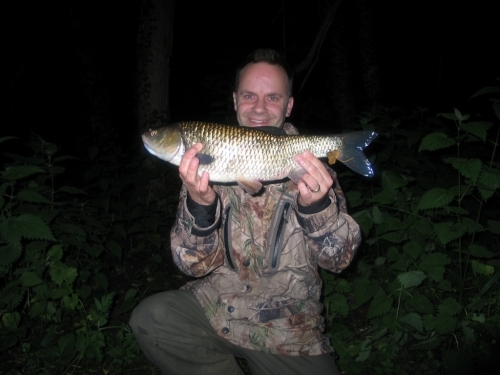 It got to around 1:30 am and I had a lovely take, after a bit of a tussle under a tree I put the net under a nice 3LB 15oz chub. Bertie had to leave around 3 am. I stayed and moved swims had a few knocks but still not full takes. 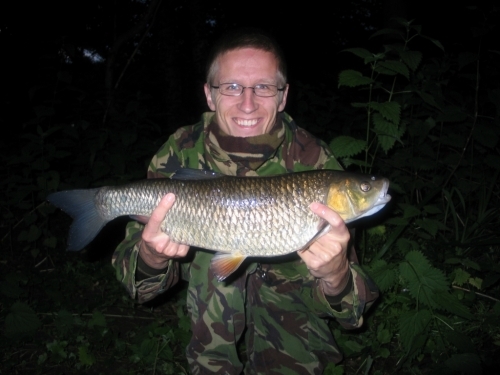 I moved again to a deeper stretch and had a lovely 4LB 12oz chub which looked almost two tone. 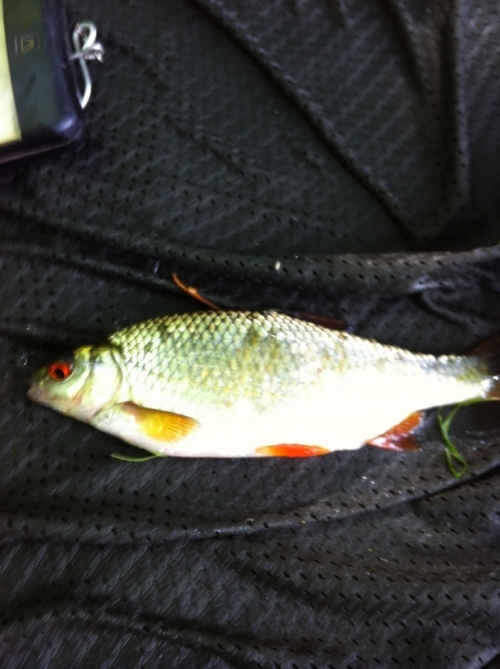 I then changed to maggot and had 3 smaller chub, a perch and a nice roach. I stayed till around 9am then went home completely knackered. Looking forward to our next trip already.